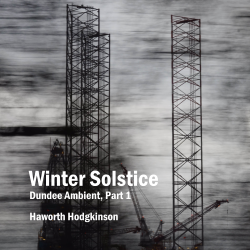 Winter Solstice is the first part of Dundee Ambient, a project I have been working on since the beginning of 2015 using material mostly recorded in Dundee in the 1990s. I plan to release the remaining parts during the course of 2016. 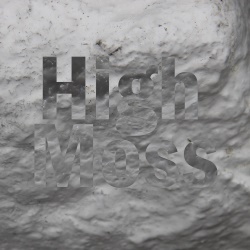 This project brings together many of the recurring preoccupations of my music over the years – textures that evolve gradually over a long timescale in a fixed modal context, drones that pulse and change very slowly, music of place and of the changing seasons. Since my student days I have been drawn to the idea of creating music that could last a whole night, but the practicalities of arranging live performance and the limitations of available recording formats meant that none of my early schemes could be completed. Only in recent years, as I have started to work with digital technology, has it become possible to produce long recordings without the interruptions of changing tapes or discs at regular intervals. In January 2015 I started working with some sounds that I had recorded in Dundee between 1995 and 1997, with the idea of making them into a piece that would be eight hours long, based on the notion of eight hours as the duration of a good night's sleep. This could be music to sleep to, or music for insomniacs to lie awake to, but it would also be music that follows the rhythms of sleep itself, at times restful and at other times more disturbed. I could have called it Self-Portrait Asleep if I hadn't already used that title for another piece in 1985. In April 2015 I heard that Max Richter was working on his eight-hour Sleep project, scheduled to be performed in September, and I decided mine should take a different direction, lest anyone should find this to be too much of a coincidence. In fact I shouldn't have worried as his piece turned out to be very different from what I was doing. It was also at about this time that I decided that the music, although continuous, could be divided into sections, each the length of a CD, and issued as separate albums. Once I started working on the sections individually I began to feel that they had seasonal characteristics, beginning with winter, so I decided to release them over the course of a year. Initially I thought that there would be four sections, but as the project developed it seemed to demand a fifth section, a return to winter, to bring the year full circle.